Most people with hearing loss experience both a decrease in the volume of sounds and a decrease in the clarity of speech, even when it is loud enough. Though a person may “hear” what you say, they may not always understand all the words or may confuse some sounds with others. Background noise makes understanding extremely difficult. Even people with normal hearing have difficulty communicating when there is a lot of background noise. For those with hearing loss, the problem is even worse. Many people feel embarrassed about their hearing loss and may nod their head and pretend to understand when they actually don’t. Although hearing aids can help, they do not restore hearing to normal the way that eyeglasses correct vision. 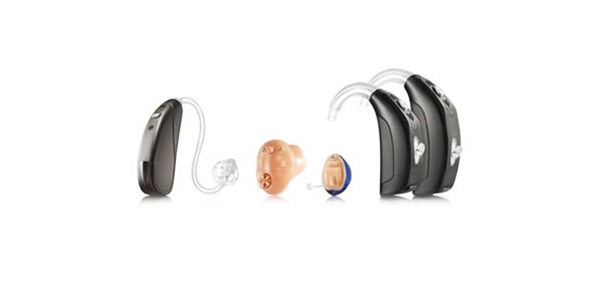 It takes time to get used to a hearing aid, especially for those who have had a hearing loss for a long time. Sounds that have been forgotten need to be relearned. The world can seem very noisy and even overwhelming at first. If you know someone who has tried hearing aids but has stuffed them into a drawer, encourage them to go back to their dispenser to have the aids readjusted. It can take several visits to achieve a comfortable fit and comfortable sound quality. Your patience and encouragement can be a big help. Hearing loss can be mistaken for senility in older people. Make sure that a thorough hearing test is part of any health evaluation.